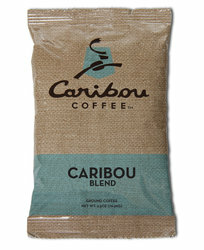 Caribou Coffee Variety Pack. Part of our "single pot" program. Build Your Own Caribou Coffee Kit! Each Package makes ONE FULL PERFECT POT! Now you can order some of the world's best coffee one pot at a time. Just get a couple, or mix and match. It's all up to you!